SÃO PAULO, NOVEMBER 2017. 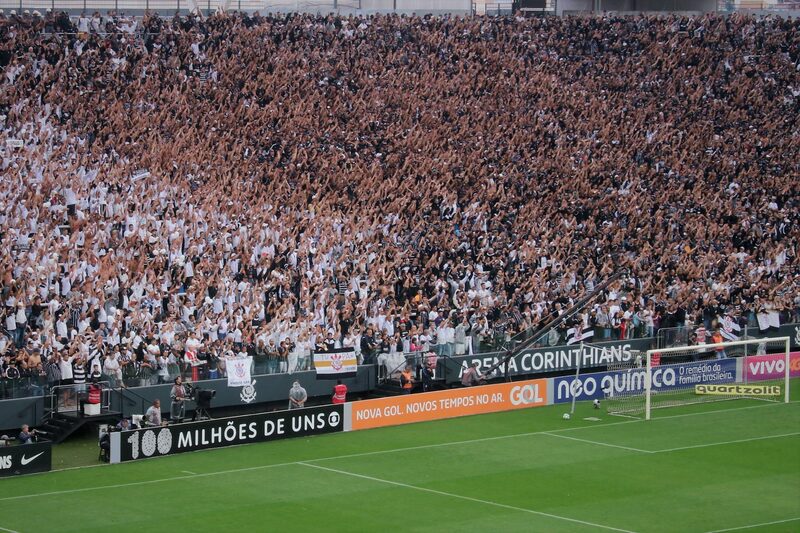 There is, it’s fair to say, never a meaningless encounter between Corinthians and Palmeiras. But all clássicos are not created equal. Sometimes it matters a little bit more; sometimes more is at stake than bragging rights alone; sometimes, owing to the circumstances, the sweetness of victory can be just that little more intense. This particular game combined all the right ingredients. 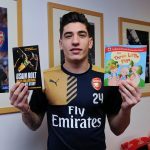 It was the third and final meeting of the season in the year that marked the centenary of the rivalry, the very first derby having been played in 1917. Corinthians were top of the league after dominating the first part of the campaign but had faltered in the preceding weeks and were looking nervously over their shoulder at Palmeiras, in second, who had won three of their last four. A Palmeiras victory would take them within just two points of the leader and, given the form of both sides, it seemed highly probable that they would then be able to overhaul such a slender lead in the six remaining games and retain their title. A young Corintiano gazes on as his team prepare for the biggest game of the season. 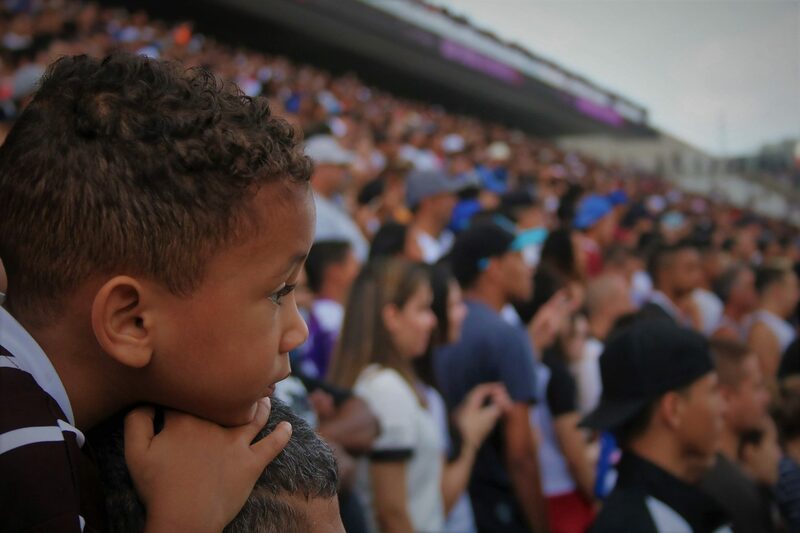 For some of those in attendance, it was the first chance they had had to visit their team’s new stadium, owing to the relatively high ticket prices in relation to wages in São Paulo. On the eve of the fixture, the home side decided to hold an open training session at the Arena Corinthians in an attempt to wake their players from the slumber of the previous weeks. With the proceedings set to get underway at 10am, we arrived at Arthur Alvim metro station, in the far eastern suburbs of the city, at around 9:30 and ambled towards the ground. The early start had not deterred the corintiano hordes and there were already hundreds of people gathered on the street corners, some taking the opportunity to tuck into litre bottles of cheap lager. As we walked through the entrance, it became clear just how many had turned up. Thirty-two thousand was the official figure, but it was hard to be sure. Fans were packed into the Setor Norte, the arena’s standing-only section, like sardines into a tin and a further two sides of the 46,000-capacity ground appeared to be almost full. Whatever the final amount, the noise was deafening. 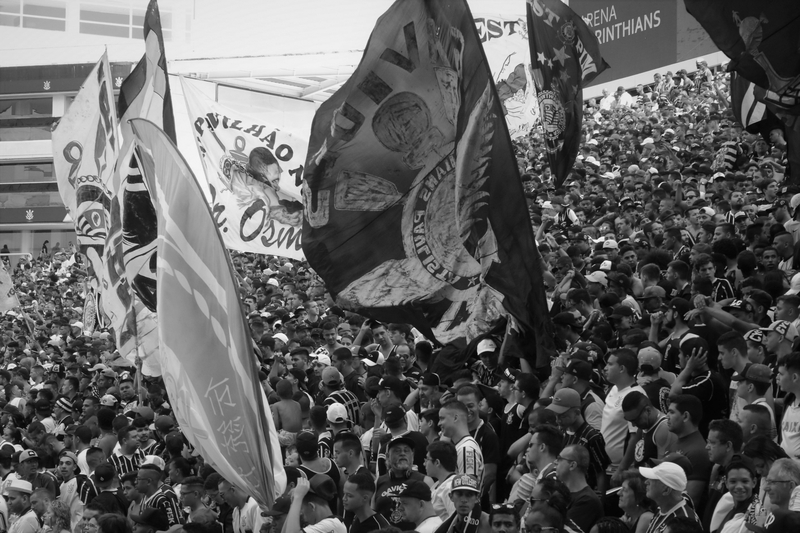 Flags, flares and drums, collectively banned from official games as a security measure, had been brought by the torcidas organizadas and were being unleashed with gusto. After, we would make our way to the headquarters of the most prominent of these groups, the Gaviões da Fiel. 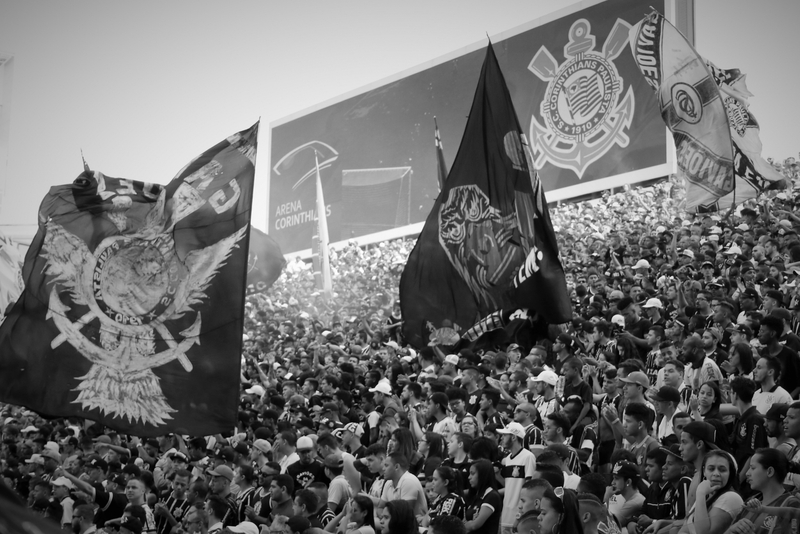 Bearing in mind that the Torcida Única ruling – introduced after a Palmeiras fan stole a policeman’s gun at a 2015 instalment of this tie – now limits just the home support to any derby in the city of São Paulo, we had spent time with Palmeiras’s Mancha Verde at the start of the week, and had indeed been invited to watch the clássico with them from their own safe house, conscious of the fact that it would be difficult to film both sets of supporters on the weekend of the showdown itself. We were unsure as to what kind of reception awaited us, left with the feeling during negotiations to set up a meet that the Gaviões were incredibly sceptical that our intentions were pure. As Q&A emails went back and forth, we had to convince them that this wouldn’t be some tired old hooligans-and-fan-violence vehicle that has by now bored them beyond tedium and could potentially land them in hot water with both the authorities and those among their number who have adopted a zero-tolerance policy towards speaking out of turn and revealing too much about their activities to the outside world. 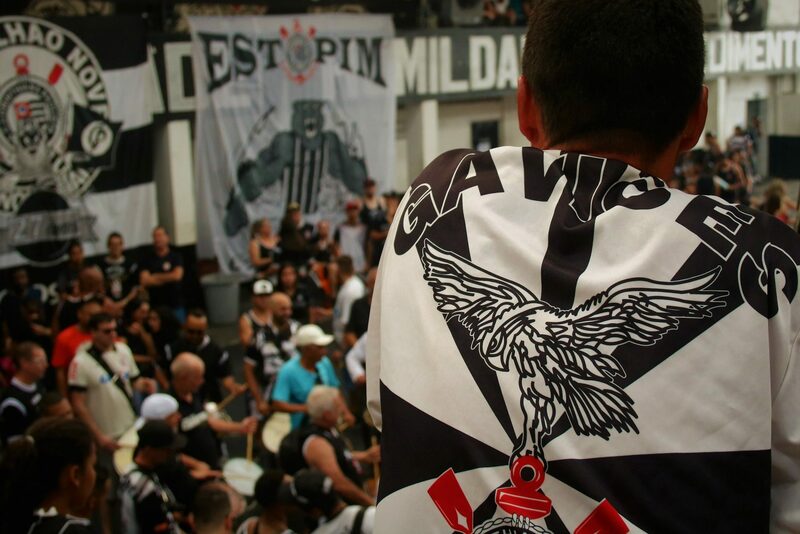 A Gaviões member watches as the bateria – the torcida’s samba drummers – play a driving rendition of Corinthians official club anthem. In all honesty, we had given up hope of being able to get face time with them at all until a last-minute invite to this event: a members-only barbecue – complete with two pigs on a spit, no doubt a provocative nod to their continuous branding of their arch-rivals as ‘porcos‘ – and general knees-up aimed at boosting morale in preparation for the biggest day of the season. 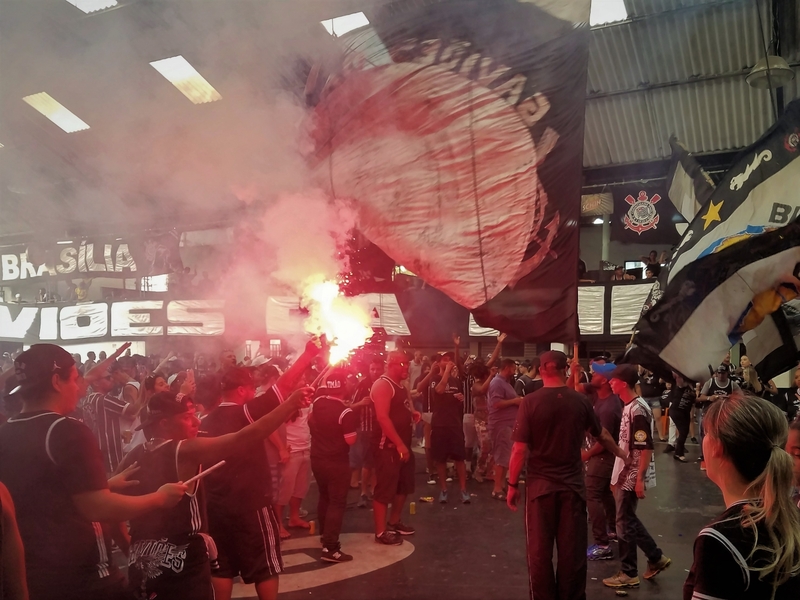 There were inquisitive looks as two out-of-place gringos were shuffled in and hesitantly began waving a camera around at selected facets of what is essentially a converted warehouse in the old industrial neighbourhood of Bom Retiro, where Corinthians was founded as a club in 1910. We’d arrived too early, leaving us no other option than to sit down for a breather until the action unfurled, which turned out to be a blessing in disguise as it allowed other attendees to calmly approach and welcome us before we were handed carte blanche to film as we wished. 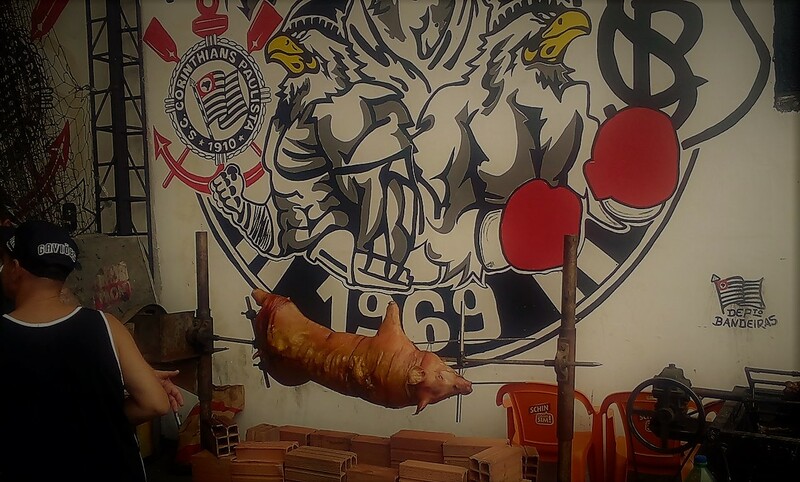 The spit-roast ‘porco’ – undoubtedly a reference to Palmeiras’s derogatory nickname – about to be eaten by the hungry masses. As Brazilians gatherings routinely do, the proceedings descended into song and dance once the band showed up. What had occurred in the Setor Norte had been transported here – pyrotechnics and all – with appearances also made by two key members of the 1977 team – Geraldão and Basilio – to mark the 40th anniversary of a Paulistão state championship title that broke Corinthians’ 23-year trophy drought and ushered in a new era of success still being enjoyed to this day. It’s worth noting that while it would be naïve to dismiss the fact that violence remains a common feature of Brazilian club football and no doubt still occurs on a weekly basis, often miles away from the stadium, both the Gaviões and Mancha Verde’s HQs had far more of a family feel to them than expected, with droves of women and children involved in the festivities eliminating the moody air of domineering machismo and testosterone usually found in such settings. The party gets going at Gaviões HQ. The good times rolling. We were chauffeured around from one group to another, introduced to key protagonists in the Gaviões‘ chequered history and given a full rundown of what readying one’s self for derby day entails. As we stumbled out into the early evening, more raucous bands of fans continued their own mini-festa de samba in the street and had by all accounts been on the sauce since the previous Monday. The next day soon came and back to the Arena Corinthians we went. On the same Red Line train, this time in smart casual for the press box and speaking English to one another, we again had difficulties blending into the scenery and trying to go unnoticed as one chancer half-seriously attempted to extort a ‘tax’ from us to enter the stadium. This set the tone for a generally tense atmosphere in and around Itaquera, the fiel painfully aware of the repercussions should their team allow themselves to be beaten at home in what was being talked up as the clássico of the century. Palmeiras were breathing down their necks and it was not a feeling that the fans were enjoying. A mural outside the Arena Corinthians depicting all of the club’s badges from its foundation in 1910 until today. 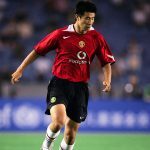 During the week, the media had branded Corinthians a ‘cavalo paraguaio’ – literally, ‘Paraguayan horse’ – a phrase commonly used in Brazil to refer to teams or athletes who start a tournament or league campaign strongly only to falter at the last hurdle and hand the title to one of the chasing pack. The Arena’s Setor Norte saw different torcidas unite to push their team to victory. In the black shirts are the Gaviões and in white are members of Camisa 12, a rival supporters’ group. Ironically, given the media talk during the week, it was the home side’s two Paraguayans, Ángel Romero and Fabián Balbuena, who put them ahead, with goals in the 27th and 29th minutes. Palmeiras had not come to roll over and hand their rivals the title, however, and Yerry Mina, now of Barcelona, pulled one back 10 minutes before the break. With no away fans present, owing to the Torcida Única policy detailed above, the Colombian’s headed effort was greeted with an eerie silence. Alvinegro nerves jangled once more. Just three minutes later that silence was broken. Jô, the 2017 Brasileirão top-scorer and player of the season, was hauled down in the area by Edu Dracena and the referee pointed to the spot. Jô stepped up and made no mistake, slotting it coolly into the corner. The second half saw a valiant rear-guard action from Timão and, despite their best efforts, Palmeiras could only find one of the three goals that would have been necessary to turn things around. The calm after the storm. The Arena empties out after the tension and eventual celebration that had filled the previous two hours. Looking back at the league table now, with Corinthians eventually taking the title by nine clear points, it is easy to forget just how much suspense and uncertainty there was surrounding this fixture. One can only ponder the hell, fire and brimstone that would have been unleashed by Corintianos baying for blood should this tie have been lost. As it was, though, rapturous celebrations greeted the final whistle. Corinthians fans and players alike understood the psychological significance of the result and there was a tangible drop in anxiety levels around the ground on the way out; the collective exhaling of a breath that had been held for a week. The gods of football have a wonderful sense, it seems, of theatrical timing, knowing how to deliver the right lines at the opportune moment. 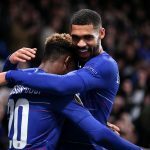 After a century of attrition and 354 games between these two magnificent clubs, they perhaps saved the very best ‘til last. It was, at least, a fitting way to draw the curtains. Here’s to the next hundred years.